Felix has worked in the in the NHS for over 8 years, and has now been working full-time in private practice since 2007. He has a passion for studying many therapeutic approaches and then in combining the therapies studied to produce rapid and powerful interventions for a range of conditions. He now runs ‘The Heath Therapies‘ a vibrant, busy and highly successful Practice in Hampstead London along with other dedicated colleagues. Felix is a Chartered Counselling Psychologist and clinical hypnotist. 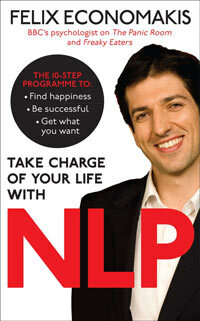 He also holds a master practitioner in NLP. He has successfully treated hundreds of clients who have not benefited from previous therapies. He has been challenged by journalists to cure their phobias and has featured on numerous TV, radio and magazine articles (including BBC Breakfast, Newsnight, GMTV, Sky News, The Alan Tichmarsh Show and The Wright Stuff) on a variety of topics, as well as being a therapist on BBC3s Panic Room, Freaky Eaters and Blue Peter (where he achieved a 100% success rate with his therapy), and on BBC1s ‘My Hoarder Mum and Me & Britain’s Biggest Hoarders’, and German TV channel Prosieben (one session treatment for SED). He is the most prolific practitioner for Selective Eating Disorder (SED) or as its been recently renamed – Avoidant Restrictive Food Intake Disorder (ARFID) in the world by a wide margin and has treated thousands of adults, older adults and children often in just a single session. The useful thing about treating ARFID is that results are immediately measurable. Clients are asked to bring in food and either they can eat it or they cannot. Felix and his clients will know right away whether change has taken place. By treating two, sometimes three, clients per day just for ARFID, Felix has been able to evolve and perfect a highly effective tried and tested approach for phobias, traumas and other anxiety disorders. He has uploaded over 200 before-and-after sessions on his YouTube channel demonstrating change work with clients of all ages and backgrounds (see link below). Now he focuses more on doing before-and-after live feeds via ‘Facebook Live’ in his dedicated forums for ARFID to demonstrate rapid change to forum members. Felix is a member of the British Psychological Society, the Health Professions Council, the Society of Brief Strategic Therapy and the British Society of Clinical Hypnosis. Please visit the dedicated YouTube channel to see the latest video testimonials of one-session clinical hypnosis treatments. You can also hear an interview with Felix, on Adam Eason’s “Hypnosis Weekly“ web site, and also on Howard Cooper’s Rapid Change podcast. There seems to be a real mismatch between the demands and needs of the real world, and the tools recent generations have been equipped with to face them. To make matters worse, this general decline in resilience is also happening at a time when we need to be more resilient than ever, to deal with the difficult modern challenges facing us today: economic uncertainty; more job competition with less job security; a need for increasing diplomacy as we live shoulder to shoulder among more diverse cultures and customs. We need to harden up and become more resilient and we need to do it now. Resilience is the ability to cope with stress and adversity. Think of your life as a process that churns out an endless variety of problems for you to face. Some are large, some are small, but all make demands on your attention, your energy levels, your mood and your overall wellbeing. In fact, your satisfaction in life largely depends on how you interpret or respond to its demands. I have seen both miserable multi- millionaires, and happy people of very modest means.